Get 10 x 200% Bonuses Now! Cherry Jackpot Casino is a lovely looking casino boasting a broad range of games, 24/7 live support and heaps of fantastic player promotions. A quick look around is all it takes to become pretty taken with this casino. We have been enjoying their vast choice of games, and to be honest, it’s been hard to tear ourselves away to write this review! Firstly the design is clear and simple but still manages to look pretty striking. It works seamlessly on any device so you’ll be able to enjoy all the games on the go too. They are secure and reliable and feature games from a reputable supplier so you can be assured you are getting a fair game here. The casino is licensed by Curacao eGaming. Cherry Jackpot Casino is powered by Real Time Gaming, so there are plenty of exciting games to get stuck into. If you need any further encouragement how about Cherry Jackpot’s daily promotions? They have something different each day, so it’s well worth paying them a visit. Check out Feel the Rush Wednesdays where you’ll receive a 100% bonus on slots. Or Wet your Appetite Thursday where you’ll get a 60% bonus plus 20 bonus spins! There are so many reasons to keep coming back again and again! If you want to get started right away, you can register in minutes and make a deposit using any of the following payment options: Visa, MasterCard, EcoPayz, Neteller, Skrill and Bitcoin. No fees will be applied by Cherry Jackpot Casino but check with your payment vendor as there may be charges for carrying out a transaction. Minimum deposit amount is $35. If you have any questions about making a deposit or anything casino related or that matter, then you can always count on great support at Cherry Jackpot Casino. Get in touch 24 hours a day and seven days a week. Their instant live chat, email and toll-free telephone support are at your disposal whenever you need assistance. 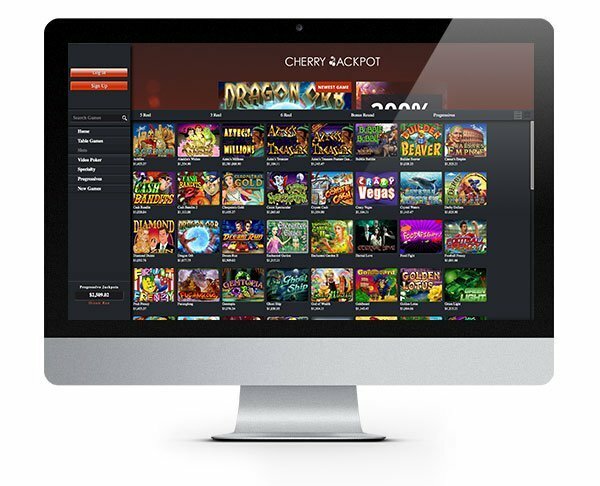 The games at Cherry Jackpot Casino are powered by Real Time Gaming. You’ll need to download the casino software to access the games, but once that’s done, you’ll have them at a moment’s notice whenever you fancy a spin. There is a great selection of slots available covering all manner of fun themes. They feature random bonuses and features that will keep you entertained for hours We like Crazy Vegas, Cash Bandits, Ghost Ship. Football Frenzy and Coyote Cash! Progressive games include Megasaur, Aztec’s Millions and Spirit of the Inca are also available! A fantastic feature of this casino is their video poker collection. There are dozens of exciting games to choose from, so if you are a fan of poker, then it’s well worth checking out. Other table games include blackjack, baccarat, roulette and craps. 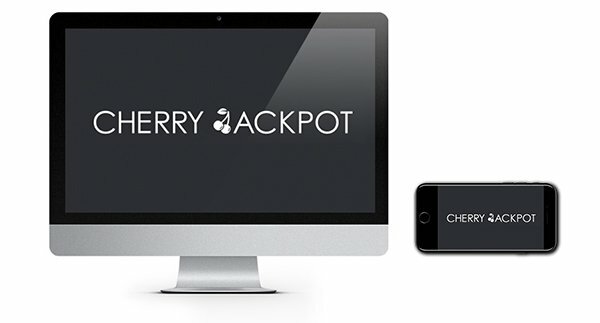 Cherry Jackpot Casino is offering new players the chance to earn up to $20,000 over their first ten deposits! This incredible bonus keeps on giving and giving and giving! 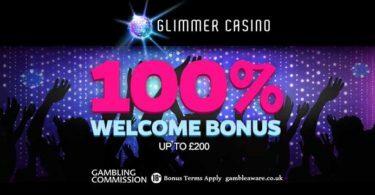 When you register a new casino account and opt into the bonus using bonus code CHERRY200 you will receive a 200% match bonus each time you deposit! 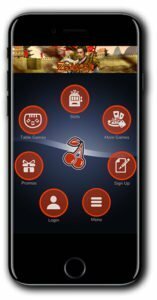 Cherry Casino will triple what you deposit each time for the first ten times so why not start right now? IMPORTANT NOTICE – Make sure you are aware of gambling regulations in your country of residence and ensure you are not playing from a restricted country before you register at Cherry Jackpot Casino. 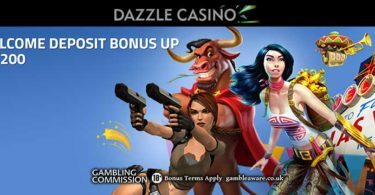 Have your pick of the best Real Time Gaming slots and enjoy this incredible ten-part welcome bonus!